Weary of her socialite life and overbearing father, Meg Sayers has one year to follow her heart before she must return to marry James and take her place as part of the Sayers family dynasty. Finding new meaning in life while working with orphaned children at the New York Juvenile Asylum, Meg travels west on an orphan train to place the children in their new homes. But one sick little boy has captured her heart…and the further west she travels, the less she wants to ever return to New York. Adam Sattler is a country parson in the little town of Celeste, Texas. An orphan himself, he has worked tirelessly to match the orphan train children with loving families. He is settled into his role in his community and finds fulfilment in his calling as a pastor. 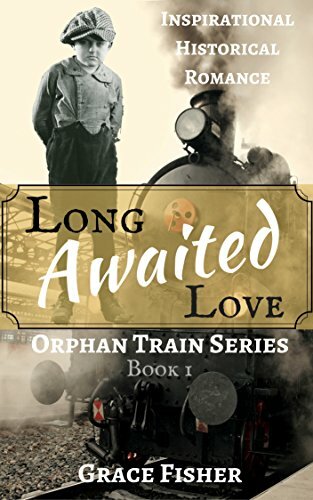 But he is not prepared for a family of his own until the orphan train rolls into town, and he finds himself falling in love with Meg…and little Maurice. What will he do when she must return to New York? This is the Kindle version of Romance: HISTORICAL ROMANCE: Long Awaited Love (Western Frontier Pioneer Romance) (Orphan Train Series (Inspirational Historical Christian Romance)) that you can also download and read on your computer and mobile phone. Kindle books are DRM protected and therefore, unlike ebooks that are in PDF or ePUB format, you cannot read this ebook without the official Kindle apps.